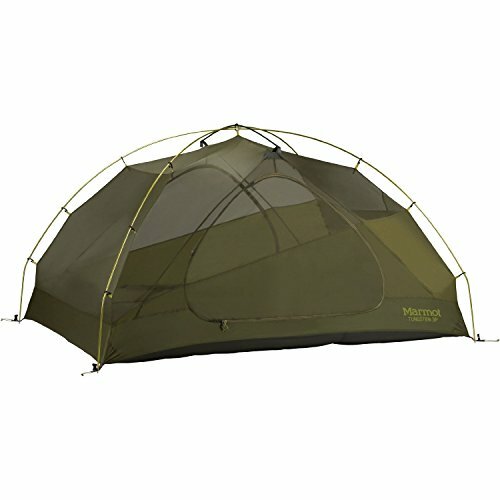 Looking for the best 3 Person Tents? Although 3 person capacity tents are a bit of an odd size, they can be quite versatile. Many people end up going with this in-between size because typical 2 person tents don’t offer enough room for them, their camping buddy and their gear. The little bit of extra weight is worth it for extended camping trips. These size tents are also handy for couples with 1 or 2 young children or even those with a dog or two that they want to allow to sleep inside with them. It can be tricky to find a high-quality 3P tent when 2P and 4P are more popular. If you’re in the market for one, here are 3 of the best on the market so you can shoose the best tent for you. NEMO Equipment is well known for the quality camping gear, particularly their tents. The Dagger 3P is very well designed and appropriate for ultralight backpacking thanks to a very special “Divvy Sack” feature. If you are camping with a buddy, it makes sense to divvy up the shared shelter. Rather than having one person pack the tent while the other carries the other gear, NEMO designed their Divvy Sack, a two-stage drawstring bag that makes things much simpler. This also makes the tent perfect for ultralight backpacking. Sometimes tents under a 4 person capacity can be cramped and difficult to enter/exit. This isn’t the case with the Dagger 3P. The tent has 2 large doors located on the sides of the tent. This allows occupants to leave the tent with minimal disturbance to their buddy. Each door has a roomy trapezoidal vestibule over it which is ideal for storing wet gear, muddy boots or as a little kitchen space when it’s raining outside. Other little features like the Light Pocket, which uses a headlamp for overhead lighting, and interior pockets to keep small items in easy reach make this a nice tent to stay in. The Dagger 3P may not be the highest tech tent out there, but it’s simple one pole setup and light weight make it an excellent choice for anyone. It retails for roughly $500 as of this writing check here for the (latest pricing), with the additional footprint (sold separately) for $45. You can also purchase other complimenting accessories, like the Pawprint (a dog nail proof fabric to protect the floor) or a gear loft for maximum storage. MSR is a brand under the well-known Cascade Designs company. 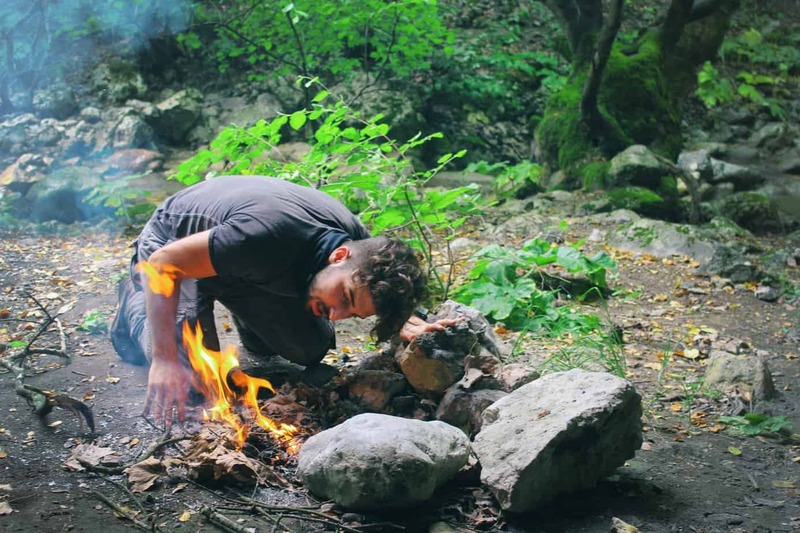 Originally named MSR for Mountain Safety Research, the gear created by this brand can truly handle the rigors of mountain and backcountry camping. One of their particularly impressive 3 person tent is the Elixir 3. Claimed as being “The Most Livable 3-Person Backpacking Tent In Its Class”, this is definitely one model you’re going to want to check out. While the MSR Elixir 3P isn’t the most lightweight 3 person tent, it is still easy to pack- either one person can carry the tent or it can be split between two backpacks. Ultralight backpackers may find it to just be too heavy overall but there is a reason for the weight. Rather than cutting back on quality to save weight, MSR instead went the route of choosing durable materials first. A quick comparison between the fabrics on this tent and others will show that the Elixir 3 is going to last longer. 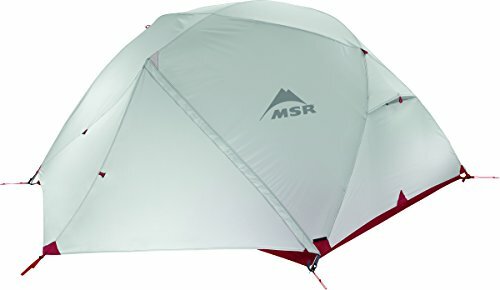 MSR stands for Mountain Safety Research after all, and this tent will surely keep you snug out in the wilderness. It is an attractive tent overall but the design has more advantages than just looks alone. The white rainfly helps to reflect heat and sun and the geometric shape helps in winds. The use of different water-resistant coatings ensures you’ll stay dry in storms. Although it is a 3 season tent, many find that with the right sleeping bag the Elixir 3 can handle mild to moderate winters without a problem. The tent is very user-friendly and really is pleasant to live in. It would be an excellent choice for two people who need the extra space of a 3P tent or even a solo camper who will be staying in one location for an extended period of time. This tent retails for an extremely reasonable aprox. $300 as of this writing check here for (latest discounts), which is an amazing deal considering the durability and included footprint. 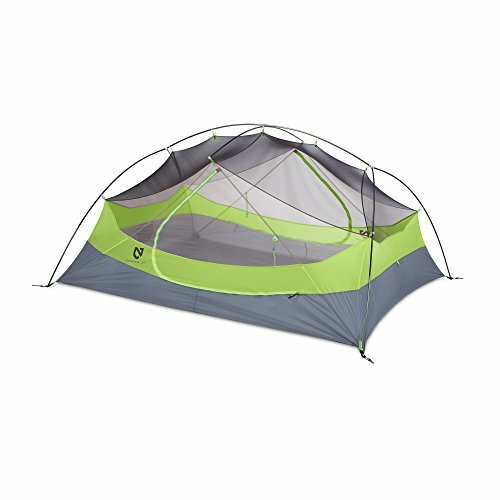 Marmot is a top of the line outdoor gear brand so it’s no surprise one of their tents made the cut. Their Tungsten tent series is highly rated and praised, with the 3P model being no different. If you really want as much room as possible in a tough, workhorse style shelter, this might be your answer. It can be difficult to make a relatively small shelter, like a 3 person tent, seem roomy and airy but Marmot managed to do just that. The Volume Optimizing Structure design offers a sleeping zone pre-bends for the most room for sleeping pads and bags as well as special pole clip placement to pull the walls up and away. The headroom is excellent and while it might not be that much bigger in overall area than others, it certainly feels that way. The D-shaped doors make getting in and out easy, plus dual doors mean you can get out without disturbing the other person. The vestibules are on the smaller side but still offer plenty of room for wet gear or backpack storage. Wet weather will be kept at bay with the use of seam taping on the fly and the floor. You’ll be cozy even with a rainstorm raging on outside. For only about $260 as of this writing (check here for latest), which includes the footprint with tent purchase, you really can’t go wrong. Three person tents do have their place and can be the perfect upgrade from your old cramped 2P tent. Any of the above 3 tents will make even the pickiest outdoor enthusiast happy. Looking for something a bit smaller? I’ve also completed a review of the best 2 person tents right here, in case a 3P tent is a bit too heavy.